LOCATION The apartment is located close to the Cathedral Quarter of the Historic City of Lincoln and is served by large range of amenities including; shops, schools and leisure facilities. The property is also conveniently located in a short walk to the City centre and with easy access to the A46. ACCOMMODATION Positioned within the popular Bailgate area of Uphill Lincoln, this top floor apartment offers gorgeous views over uphill Lincoln and Lincoln Cathedral. The property has been renovated including; Full Redecoration & NEW Kitchen. 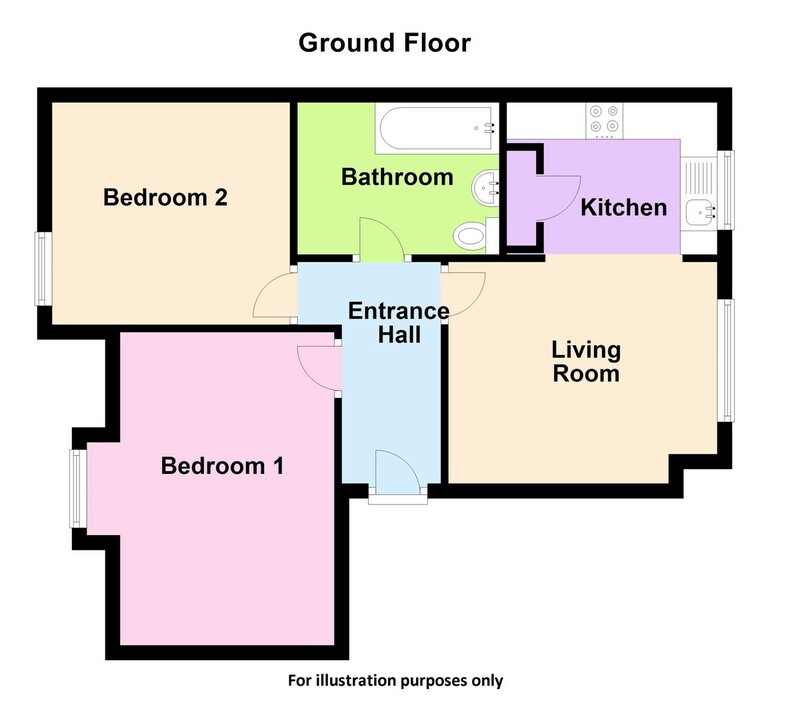 The internal accommodation briefly comprises; Communal Entrance Hall and Stairwell leading to; Private Entrance Hall, Lounge, BRAND NEW Kitchen with fridge freezer and washing machine, Master Bedroom with storage cupboard off, Bedroom 2 with storage cupboard off and Family Bathroom. Viewing is highly recommended to appreciate the accommodation on offer and the position of the property within this sought after location. OUTSIDE Outside the property benefits from allocated parking and a single Garage. The property also benefits well maintained communal gardens. VIEWING Strictly by prior appointment via Mundys. ENERGY RATING Energy Performance Rating D (57).